This 21 year old had lost 80 pounds on a strict diet and exercise routine. He still had localized fatty tissue as well as glandular tissue in the breast region (before treatment, above). 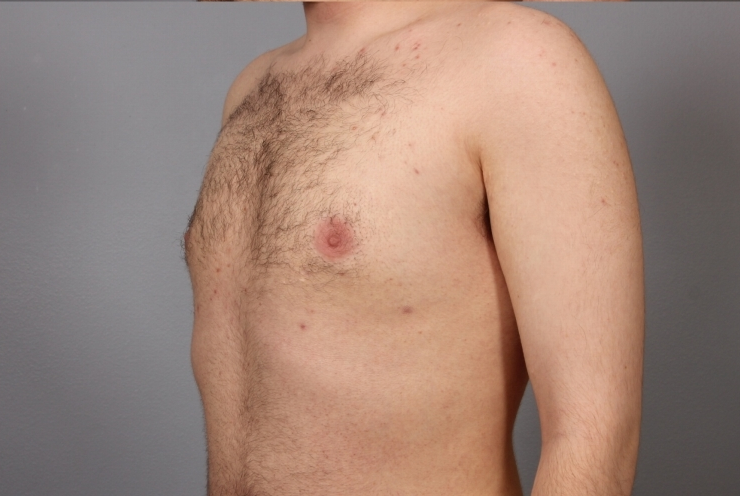 He had a minimally invasive procedure using Smart Lipo. This laser-assisted approach was chosen as the laser not only melts fat but also can break up glandular tissue so that it can be suctioned instead of directly cut out. This process minimized scarring, and also induces some skin tightening. 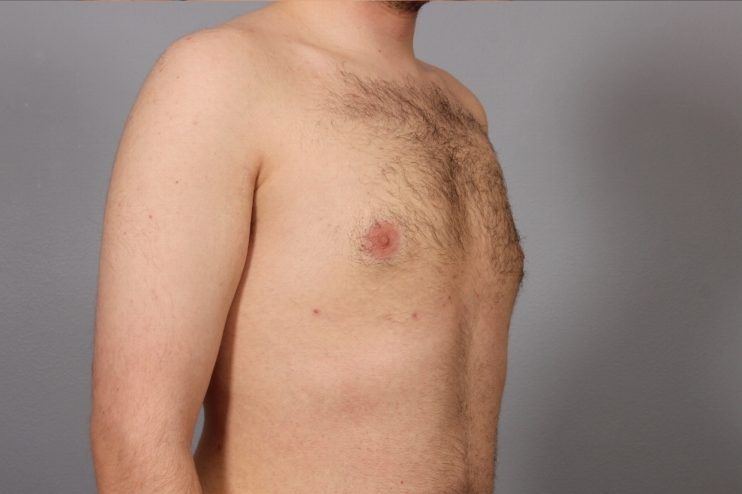 His results after surgery (below) are seen two months postoperatively. Even older men sometimes develop this condition. 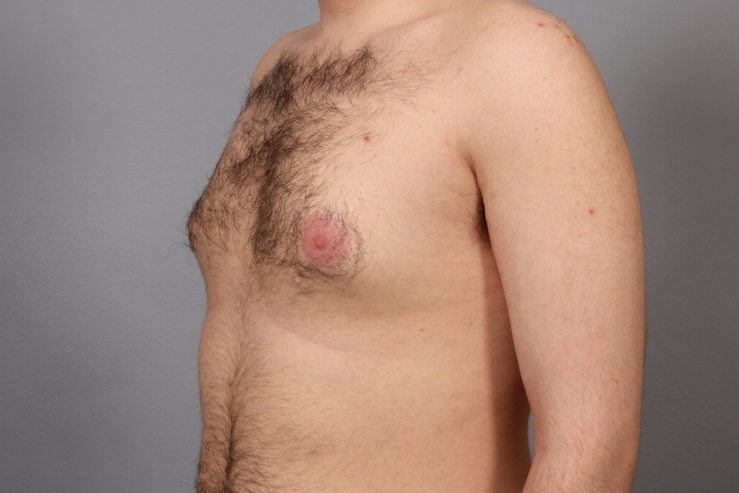 The man in his 60s, below, had a similar procedure as well as a male abdominoplasty to reduce his abdominal protrusion.